Support for C/C++ development is still considered an "Early Access Preview," so it's probably not quite ready for larger projects. It still relies on an experimental v1.3 release of the Gradle plugin and recently released Gradle v2.5. 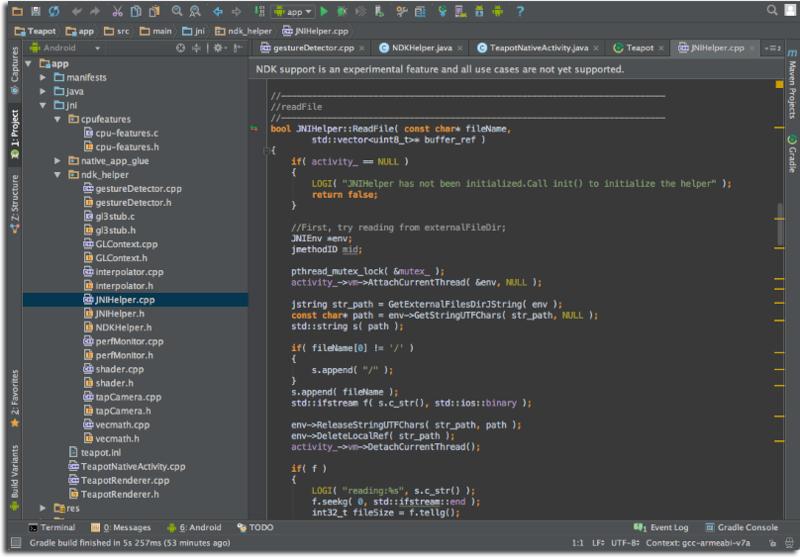 Nevertheless, improvements and stabilizing of the features are likely to be a major focus for Android Studio v1.4 since official support for Eclipse with ADT ends in just five months. A number of new tools and features have been added with this release. 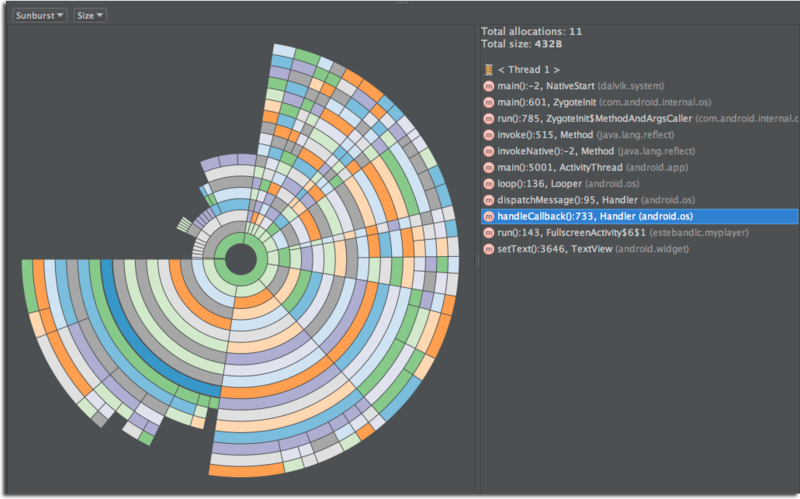 To help with tracking memory usage, there's a new memory viewer and allocation tracker for analyzing snapshots of memory usage. There's also a new test plugin named com.android.test that allows unit tests to be broken out into a separate module for more separation from primary application code. Coding with Android Studio v1.3 is also a bit easier. A new RequiresPermission annotation has been added to flag methods that require specific permissions in Android M. This can help code inspection tools to catch code paths that might not perform checks for authorized permissions before calling the flagged method. Data Binding support has also been added in this version, which makes it possible to attach properties of user interface controls to objects. This can dramatically cut down on the boilerplate code necessary to fill in and update on-screen elements, and even reduces the potential for some bugs. Data binding is wildly popular in some other platforms (e.g. the .Net Framework), so it's well worth taking a closer look. To get updated to the latest release, launch Android Studio and check for updates to begin downloading v1.3 from the Stable channel. If you updated to the Beta channel release from yesterday, nothing should have changed, so you may not see an update available. If you need a fresh copy to install for any reason, it's available at the Android Developer portal. For more details about the latest version, check out Google's post on the Android Developers blog.